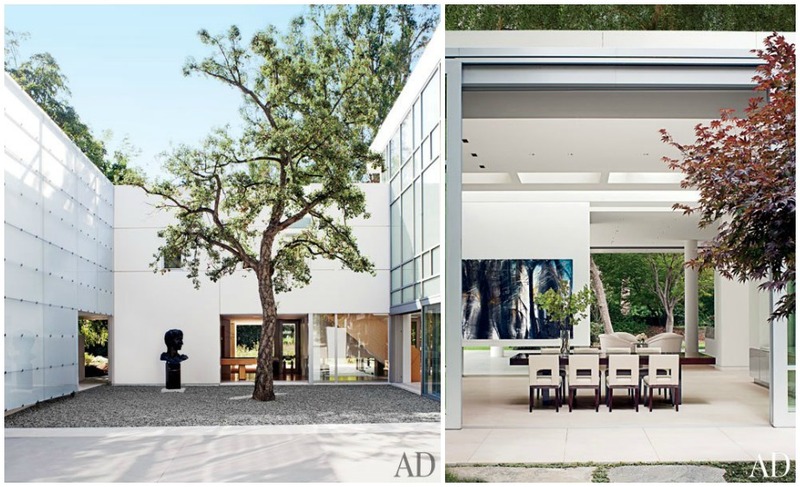 Interiors: LA Home Brings The Outdoors In — Sukio Design Co. Although this post is more architecture than interiors and more modern than glamour, I simply had to share! 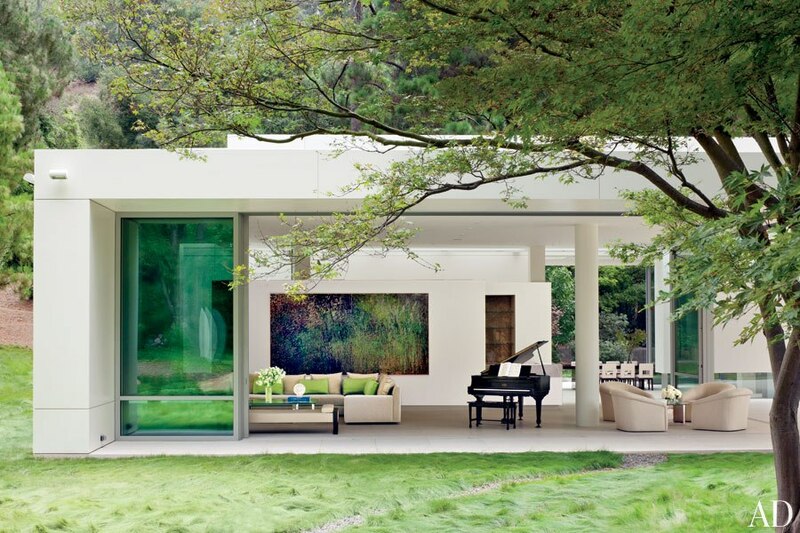 Designed by Lehrer Architects, this Los Angeles home ingeniously integrates materials and design techniques to create a harmonious balance with the outdoors. The entire home is bathed in natural light thanks to a 200-foot-long skylight and a steel frame allows walls to float or simply disappear. The bedroom is AMAZING, like a luxe tree house. I could hang out here all day. What do you think? Bring the outdoors in? Or more privacy please?